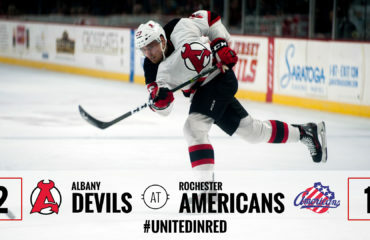 ROCHESTER, NY – Nick Lappin tipped in a Carter Camper shot with 45.5 seconds remaining in regulation to give the Albany Devils a 3-2 victory over the Rochester Americans Friday at Blue Cross Arena. 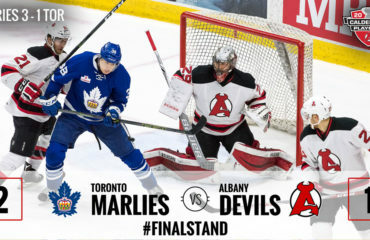 The win breaks a three game winless streak and improves the Devils’ record to 27-20-1-1. 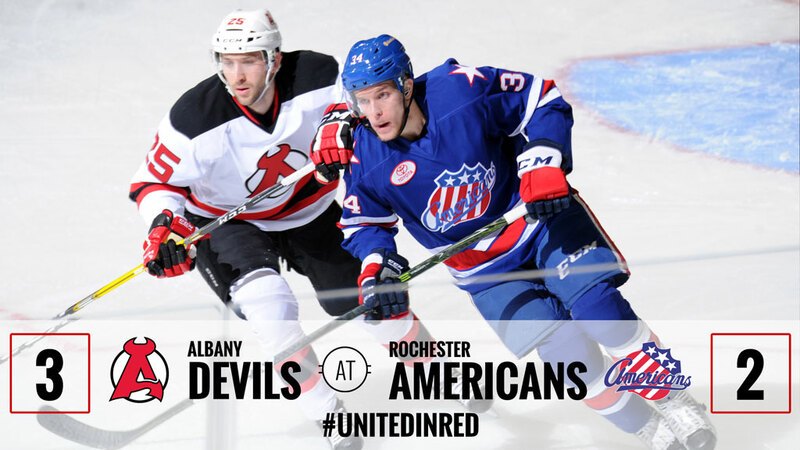 The Amerks’ record moves to 20-26-0-2. 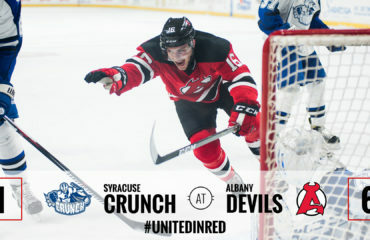 After scoreless first and second periods, Cole Schneider got Rochester on the board first at 1:35 of the third period with a left side shot that went over Albany netminder Ken Appleby’s glove hand. The goal marked his 18th of the season. 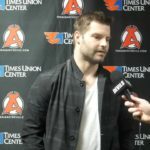 Ben Thomson tied the game at one with a turnaround shot from the right side circle after fighting for the puck behind Rochester’s net. His tally came at 8:59 and was assisted by Luke Gazdic and Karl Stollery. 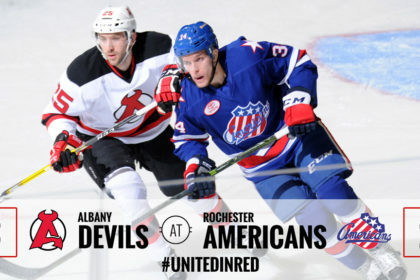 Just under 2 minutes later at 10:52, Karl Stollery netted his first goal of the season with Albany to take the lead. 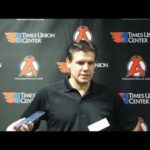 John Quenneville and Vojtech Mozik picked up the assists. 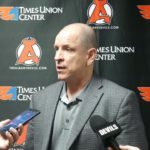 Paul Geiger netted Rochester’s second and final tally of the night at 17:54 of the third to tie the game at two, leading to Lappin’s dramatic game winning tally. 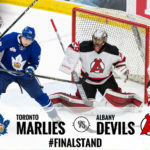 Appleby stopped 28 of the 30 shots he faced. His record improves to 14-9-0-0. On the opposing end, Linus Ullmark was faced with 35 shots, stopping 32 of them, and moves his record to 18-17-2-0. 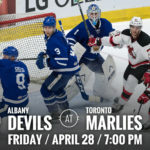 The Devils travel to Toronto to take on the Marlies for back to back games, starting Saturday at 5 pm at Ricoh Coliseum.